The Next Steps: What Comes After Rehab? Completing rehab is a huge accomplishment, and you may feel a big sense of relief and pride after leaving a halfway house in Phoenix, AZ. However, underneath that relief might be some apprehension or even fear. When in rehab, the focus of your day has been on recovery. What happens when the focus of your day has to return to other things like work, your family and other responsibilities? How do you keep your resolve in the face of the same problems and challenges that caused you pain before entering rehab in the first place? Find a supportive community: Being sober doesn’t mean not having a social life. In fact, maintaining an active social life with like-minded friends is one of the best ways to stay motivated and receive emotional support throughout your recovery and beyond. Sober friends can help you stay on track and provide a social outlet that doesn’t revolve around alcohol, drugs or partying. Attend support group meetings: Support groups and drug aftercare programs in Phoenix, AZ, such as Alcoholics Anonymous or Narcotics Anonymous, can provide support and motivation, whether you’re feeling great or less than great. Attending meetings can offer an alternative to relapsing and provide a supportive, sober community for those who may not have many sober friends to begin with. It also provides a view of a sober, happy life and what your life can look like long-term. Move (or find new hangouts): For some people, their neighborhood is full of triggers and reminders of past substance use. Local hangout spots can be the home to dealers and old friends who haven’t yet begun a sober life, and these temptations can be too hard to resist. If your neighborhood or old hangout spots cause concern, consider moving if it’s an option. At the very least, choose different hangouts to spend your time. Stay in therapy: Follow-up appointments with doctors and therapists are important to assess your recovery and stay focused on your mental health. If you were in outpatient therapy before rehab, or are transitioning from inpatient to outpatient therapy, it’s important to keep going to appointments and be honest with your therapist about temptations and relapses. Focus on mental health: Therapy isn’t the only time to focus on your mental health. During rehab, it can be easy to focus on your mental health as your daily life revolves around your recovery. However, you can take that mindset into your life after rehab and continue the healthy coping mechanisms you learned while you were in rehab. Be self-aware: Above all, it’s important to be self-aware and stay alert for signs of relapse. 40 to 60 percent of people in a recovery program relapse at least once. But don’t let that statistic get you down—think of relapsing as part of the learning process. Keep alert for your own vulnerabilities, and if you feel at risk for a relapse, reach out to sober friends for extra support or attend a meeting. Once you learn your triggers and are aware of times of vulnerability, you’ll be better at stopping a relapse from happening. If you’re worried about relapses or staying on track after a treatment program, consider a halfway house in Phoenix, AZ. 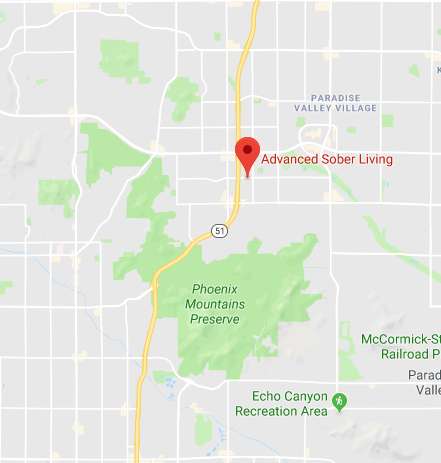 At Advanced Sober Living, we provide structure, a supportive community and drug aftercare in Phoenix, AZ for those entering back into their lives. Reach out to us today to learn more. What Do You Get Out of a Recovery Program in Phoenix, AZ? What Is a Halfway House in Phoenix, AZ, and Why Does It Work?